Lucien Linders founded MOTIONPioneer Inc. in 2014 and is currently the CEO of the company. Lucien has twenty years of experience in Transportation Planning and Intelligent Transportation Systems. Prior to founding MOTIONPioneer, Lucien was Business Unit Director Consultancy & Innovation at Vialis B.V., where he initiated and developed the company's strategy for Intelligent Transportation Systems. While implementing the strategy, Lucien optimized the consulting unit to ensure profitability, strengthened sales, business development and staff development. As seasoned executive in the public and private sector he successfully led multi unit organizations and built cohesion across all levels and sectors. Lucien has thorough experience in Traffic & Transportation Planning in rural, residential and commercial areas in developed and emerging markets, including The Netherlands, United States and South Africa. 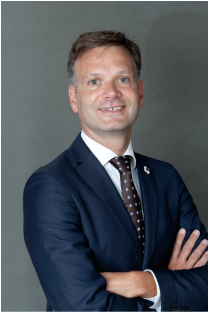 Lucien was born and raised in the Netherlands and holds an MBA from New Jersey Institute of Technology and a B.Sc. in Traffic & Transportation from Breda University of Applied Sciences in the Netherlands. At MOTIONPioneer Lucien leverages his expertise and vision on Smarter Transportation driving the creation of Smarter Cities.